It's always sunny at Strawberry Park Hot Springs. Photo by James Sturz. Catch the symphony, rumble at a rodeo, take a dip in a mineral spring. When the Rocky Mountains are in your backyard, it's easy to justify playing hooky from work. DENVER – With the Rocky Mountains as your backyard, you have no excuse to wait till one of those pesky public holidays roll around, take a Friday off work, pack your bags, and head out now. Even if you're not an outdoorsy-type (why are you in Denver, again? ), there's plenty nearby to make the most of your long weekend. Not hard to imagine you're spending the weekend in the Alps. Photo courtesy of Sonnenalp Hotel. Talk about nosebleed seats. Photo courtesy of Red Rocks Park and Amphitheater. If you're in the mood for: Reenacting that mountain scene from The Sound of Music, but locally. Route to take: Take I-70 West for two hours. 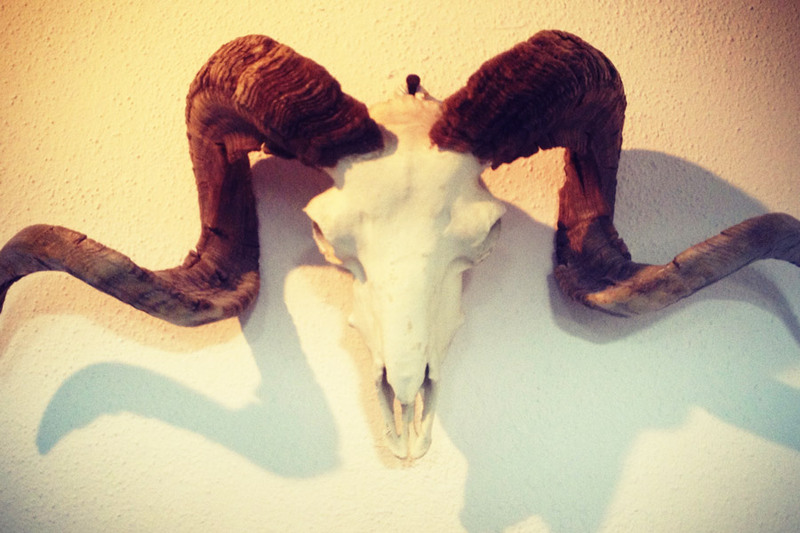 Your agenda: Check in to Sonnenalp Hotel, owned by the same family that opened the original in Germany right after WWI. Be it summer or winter, a morning stroll along Gore Creek makes for great exercise. Load up on jäger schnitzel with späetzle and red cabbage at Pepi's and end with local ales from mountain-fed waters at Vail Brewing Co. Skiiers know to hit Back Bowls for the best trails. Après ski should happen from town's largest outdoor deck at Garfinkel's in Lionshead. In summer, drop by the Vail Farmers' Market & Art Show for picnic provisions before your morning hike, and spend the evening checking out the incredible programming at Gerald R. Ford Amphitheater. 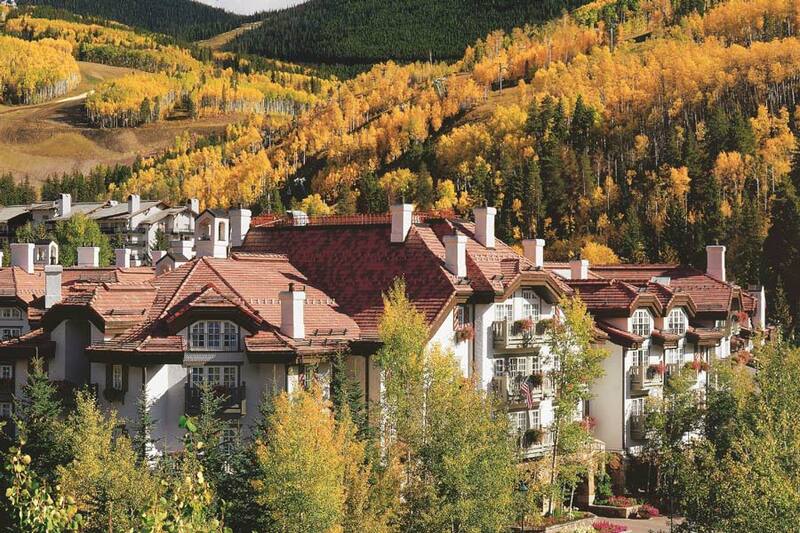 No matter the season, have a night cap at Mountain Standard. 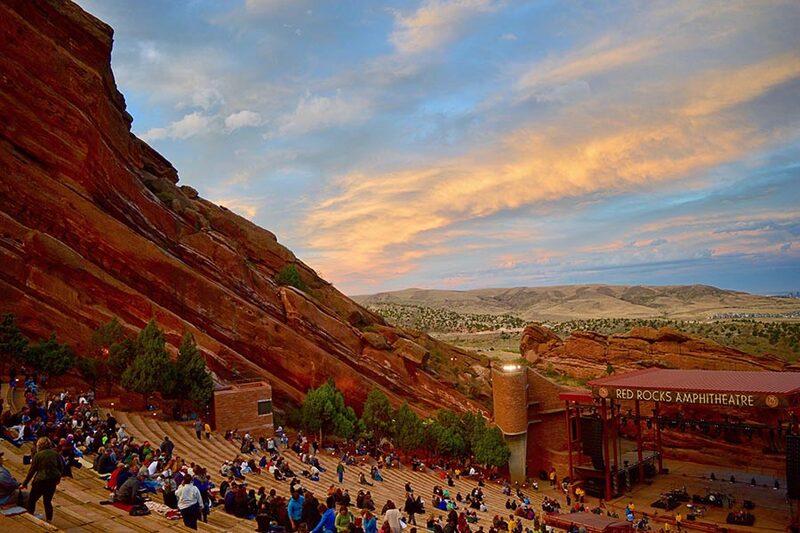 Avoid the Sunday blues: On the way home, stop by the stunning Red Rocks Park and Amphitheater just outside of Denver for an entirely different point of view. The ambitious can take a stunning (and windy!) detour off I-70 to America's highest paved road: Mount Evans Scenic Byway. All 3,000 acres of fluffy snow is waiting for you. Photo by James Sturz. Bottom's up! Photo courtesy of Low Country Kitchen. If you're in the mood for: Old-school ski town vibes and Champagne Powder conditions. Route to take: Instead of continuing on I-70 to the popular Breckenridge and Vail take a right up on CO-9/Blue River Parkway. It's about a three-hour drive from Denver. Your agenda: Skip the crazy crowds (and prices) in Aspen and head to one of the state's oldest ski towns. 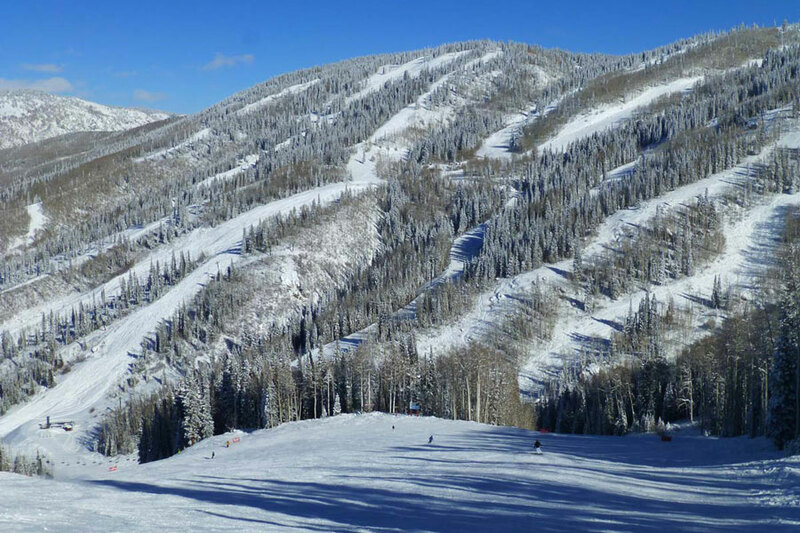 Some 3,000 acres covered in the trademark super fine and fluffy snow means you're spoiled for choice on the slopes at Steamboat Ski Resort. When the weather's warm, take a hike to Fish Creek Falls (go early to avoid the crowds) or visit the Yampa River Botanic Park just outside of town. Head downtown to visit the Tread of Pioneers museum in a Victorian-style house, pick up gifts from F. M. Light and Sons, and watch out for the Steamboat Springs Pro Rodeo that rolls through town on summer weekends. 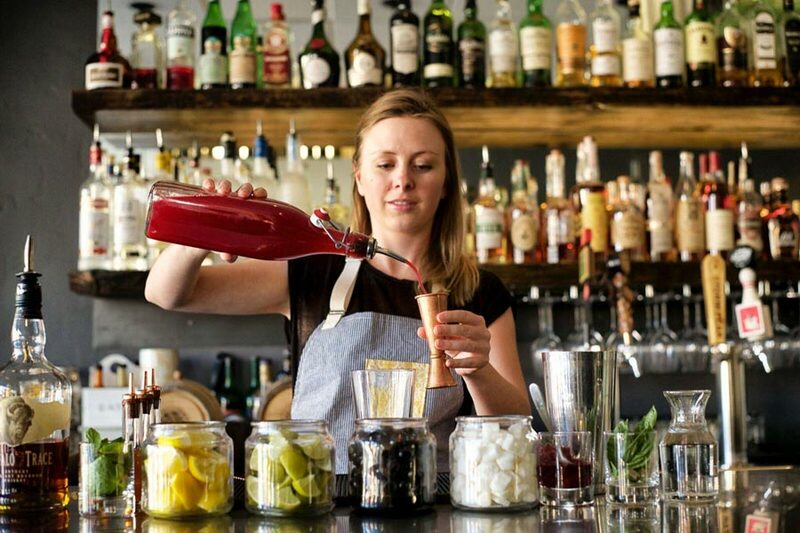 End the night with dinner along the river at Aurum and drinks at Low Country Kitchen. 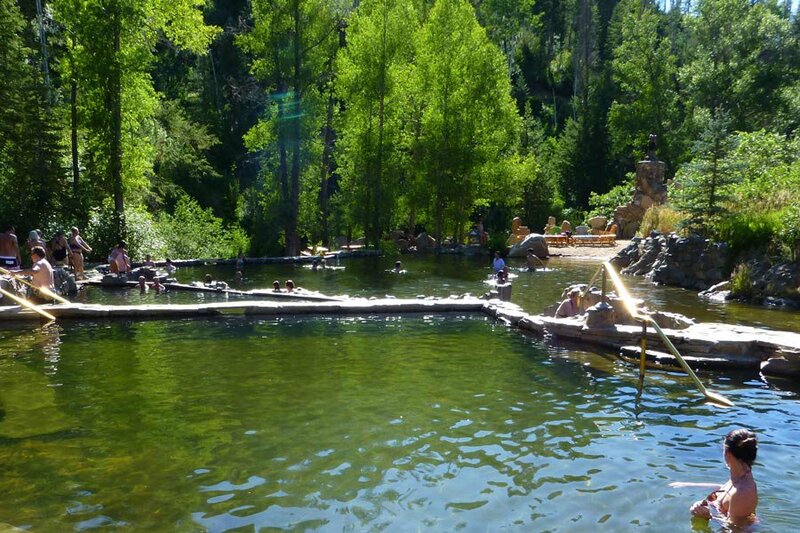 Avoid the Sunday blues: Ease into the workweek with a stop at Strawberry Park Hot Springs for a deep Watsu massage and a refreshing dip in the 104-degree mineral springs. Meditative vibes start in the lobby. Photo courtesy of Hotel St. Francis. Expect to see much more of these around town. Photo by Kate Donnelly. If you're in the mood for: Georgia O'Keeffe landscapes and Southwestern Zen. Route to take: An hour flight, and a 30-minute drive, will get you to town, but if you feel like a road trip, it'll take six hours — here are some photos to get you started. Your agenda: Check in to the historic Hotel St. Francis a few blocks from the main plaza. All good weekends ought to start with huevos rancheros at Café Pasqual and end with modern New Mexican fare at Eloisa. On balmy summer nights, make time for a frozen margarita at Coyote Cafe & Rooftop Cantina. In between eating, pay homage to dear ol' O'Keeffe at her namesake museum or a day trip to Ghost Ranch. Then shop for vintage Navajo rugs at Shiprock Santa Fe. Before you leave, drop by Canyon Road for the galleries and indie shops. 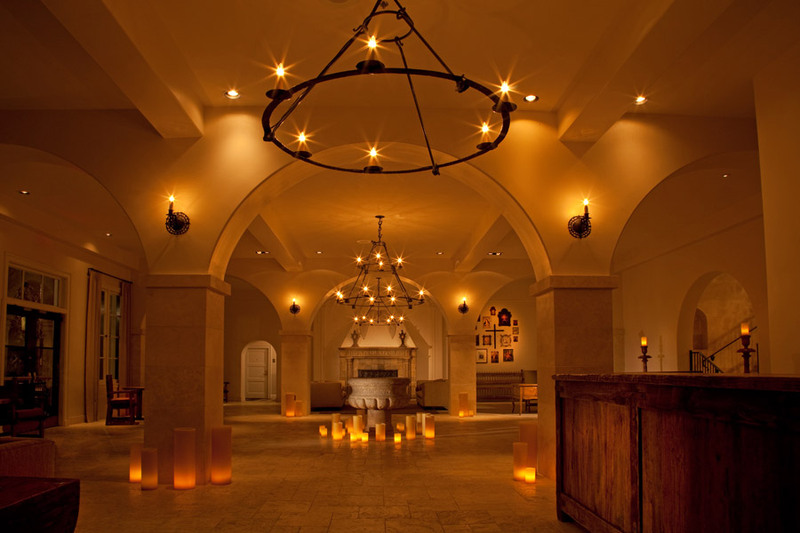 Read more on Fathom's Santa Fe guide. Avoid the Sunday blues: Book ahead for the legendary Ten Thousand Waves Spa.